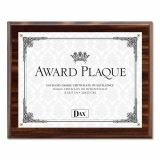 DAX Award Plaque, Wood/Acrylic Frame, Up to 8 1/2 x 11, Walnut - Award plaque is finely finished for a contemporary feel. Features decorative hardware and protective acrylic panels. 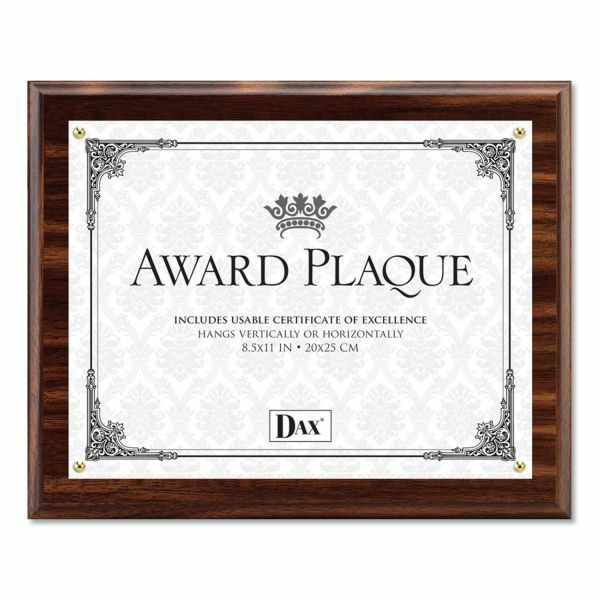 The oversized plaque allows flexibility in displaying a variety of documents in sizes up to 8-1/2" x 11". Recommended for vertical or horizontal wall display.